At Park Hotel, we are always on the lookout for unique individuals who have hospitality running through their veins. 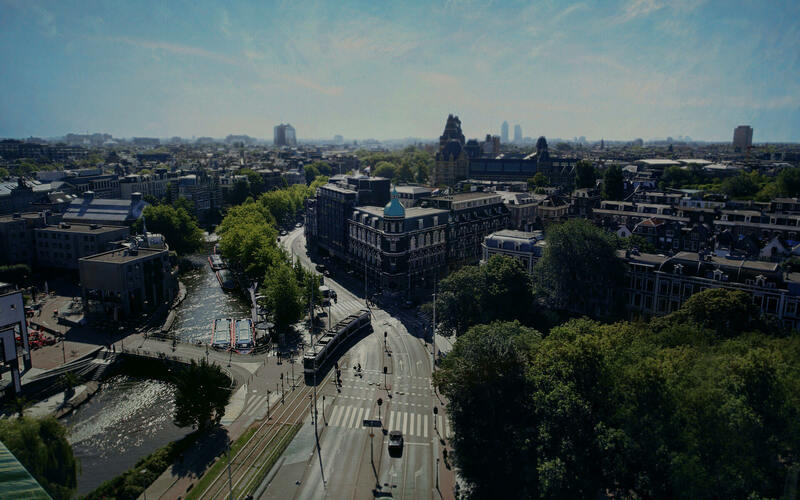 Do you have a positive can-do attitude, are you looking for a job within a dynamic, exciting work environment and would you like to work in one of the most exciting hotels in Amsterdam? Stop looking and apply now! We are offering a wide range of different positions, for various disciplines and sets of skills. You might just be the one we’re looking for. Looking for a flying start to your star career? At Park Hotel, we believe that talent is where a great career begins. We offer many possibilities to develop your talents. From Duty Management to Housekeeping, Human Resource to Technical Service, Food & Beverage Experts to Front Office Agents, it’s all up to you. Wondering where your talents will be fully appreciated? We’re happy to discuss the opportunities. If you are interested in a career at Park Hotel, we are pleased to receive your CV and application letter via careers@parkhotelamsterdam.nl and we will get in touch with you. The Rooms Management Intern leads the team of motivated room attendants of the hotel. The housekeeping department is responsible for the cleanliness of the hotel. As a room attendant you are responsible for cleaning guest rooms and replenishing amenities to deliver an excellent guest experience. We are looking for an enthusiastic & friendly room attendant / housekeeping employee with a positive attitude. You are responsible for structural maintainance and regular inspections of all our technical installations and rooms. Furthermore you resolve ad hoc technical problems. In the position of General Cleaner you will be responsible for cleaning and maintaining all public areas (reception, lobby, and restaurant) and the offices to a very high standard. The Food & Beverage Intern will experience the several F&B outlets of the Park hotel during the internship. You will mainly support the banquet team in setting-up meeting rooms and serve guests during various meetings and events. The Chef will be accountable for overall success of the daily kitchen operations with a focus on banquets. You are responsible for staffing of the kitchen, developing menu offerings, forecasting supply needs and estimating costs. How would you like to be part of starting an entirely different experience? We are opening our latest concept in the heart of Amsterdam and are looking for pioneers to help us set up and fine-tune the concept. You now have the chance to put your experience to work and make an actual difference. We are looking for an enthusiastic and creative colleague. The capable candidate is a team player and has affinity with hospitality. You have a proactive attitude and a great eye for details. Furthermore, you love working in the evening. As a Porter you are the first to welcome our guests to the hotel in a friendly, professional and sincere manner. You are always working in front of the house and you love sparking up conversation with guests and to share your love of the city with them. The Sous Chef ensures that the breakfast, roomservice and various meetings & events is according to Park Hotel’s standards. You will coordinate the daily tasks within the kitchen, prepare dishes and supervise students. How would you like to be the back bone of our vibrant F&B team? We are rebranding and expanding our F&B concept at Park Hotel and are looking for the spider to our web! For this position we are looking for an energetic, enthusiastic and decisive colleague with a high sense of responsibility. The suitable candidate has affinity with the hotel industry, is helpful and hospitable.